Carl was the youngest of the three Wilson brothers. Born 4 days before Christmas 1946 he grew up in wonderful awe of his older brother, Brian and wanted so much to be able to share in his music-making. Although he showed few of the 'prodigious' signs his brother displayed he had a good ear and could sing well from an early age. As a teenager he played the guitar for countless hours, trying to play Chuck Berry guitar licks and chords. When The Beach Boys formed he was just a chubby, young boy. He soon became known as a solid, reliable electric guitarist, his 'surf-style' playing one of the most under-noticed ingredients in the band's early sound. Although Carl had always contributed to the famous chorus of backing vocals in the band and had even sung a few leads it was not until 'God Only Knows' off the Pet Sounds album that the world suddenly sat up and noticed that here was a competent, confident singer with a pretty incredible voice! From that time onwards Carl's voice became far more widely used within the group. As Brian participated, in effect, less and less over the next decade Carl took over most of the lead vocal lines, sharing the front microphone with his cousin Mike Love. Indeed, many came to realise that, in Brian's absence, Carl was effectively the group's leader. Some of his greatest lead vocals are 'Wild Honey', 'Long Promised Road', 'Feel Flows' and 'Goin' South'. 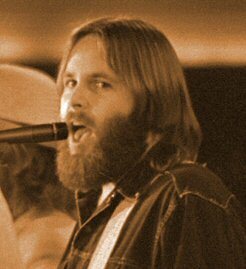 When Carl left the Beach Boys in 1981 to start a solo career many thought the group would fold and they did lead a somewhat bedraggled, drug-affected existence during this time. Carl released 2 solo albums: 'Carl Wilson' in 1981 - most notable for the beautiful song 'Heaven' and 'Youngblood' in 1983. neither were great commercial successes, featuring MoR music which sat somewhat uneasily amidst a diet of New Wave and Power Pop the music buying public were lapping up at that time. Carl rejoined the Beach Boys in 1982 and in 1985, two years after the death of Dennis, The Beach Boys made their attempt to enter the New Wave era with an album produced by the man behind Culture Club, Steve Levine. Carl's singing and guitar playing then continued to be an integral part of the world-wide success of The Beach Boys live show for the next dozen years and although, with one notable exception, the hits dried up fans still flocked to see the shows. That exception, Kokomo, while not featuring Carl on lead vocals is, perhaps, best recalled by Carl's wonderful vocal line leading into the chorus! Although Carl had been a very heavy smoker for many years he had quit smoking in the early 1980s and therefore it was both sad and somewhat ironic that he developed lung cancer in the mid-1990s. Carl fought the disease bravely and with great dignity, continuing to contribute to Beach Boys projects such as the Endless Harmony documentary despite his illness. He performed with the group, eventually becoming so ill he had to sit down to sing and play , until shortly before he died on 6th F ebruary, 1998. For me, his lasting legacy will always be a beautiful song from a posthumously released album made with Gerry Beckley (America) & Robert Lamm (Chicago), 'I Wish For You'. This song is, once again, Carl at his best. 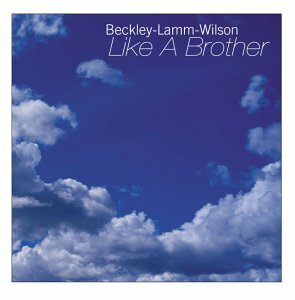 That album also featured a song for Brian called 'Like A Brother' and Brian reciprocated by dedicating a song from his new album 'Imagination' to Carl. As Carl's career ended Brian, against all expectations, launched his own touring career. That song, 'Lay Down Burden', always dedicated in concert to Carl provided a moving tribute to a brother Brian obviously loved despite their occasional periods of estrangement in life. Brian continues to appear as a performer at the yearly shows on behalf of the Carl Wilson Foundation. In a further tribute to Carl Brian ended a recent show there with 'Heaven'. Carl was married twice, to Annie and Gina and had 2 sons, Justin and Jonah.